Yeah it's a little unnerving when you get that crunching sound as you seat the bullet. I've loaded .223 for many many years but don't consider myself an expert, and like you I don't tend to load to the ragged edge. I got to shoot yesterday am still alive. I actually pretty happy with the loads I took. I only shot 3 round due to the high price of the TSX, I always shoot 5 rounds otherwise, just not this time. 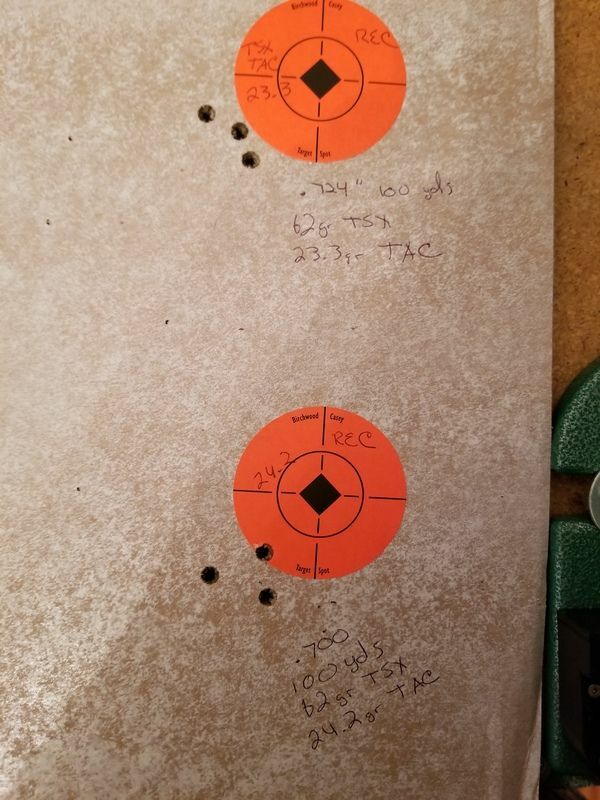 I loaded them over Ramshot TAC, Accurate 2520 and Varget. With the TAC I went from 25 to 26.2 in .3 increments, 2520 I did 27 to 28.6 in .4 increments and 25.2 to 26.2 in .5 increments for the Varget. 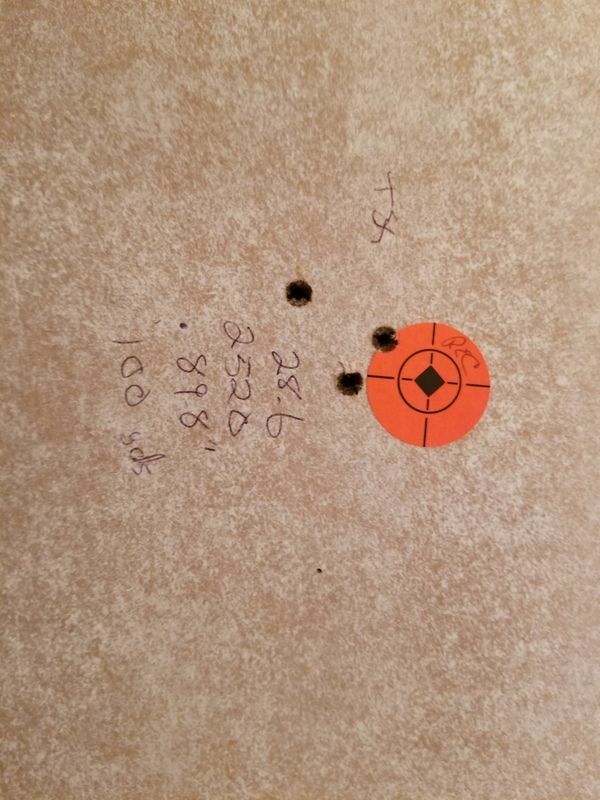 Only 3 three shot groups with the Varget. I only have an 8x scope on the rifle I wanted to load these for. 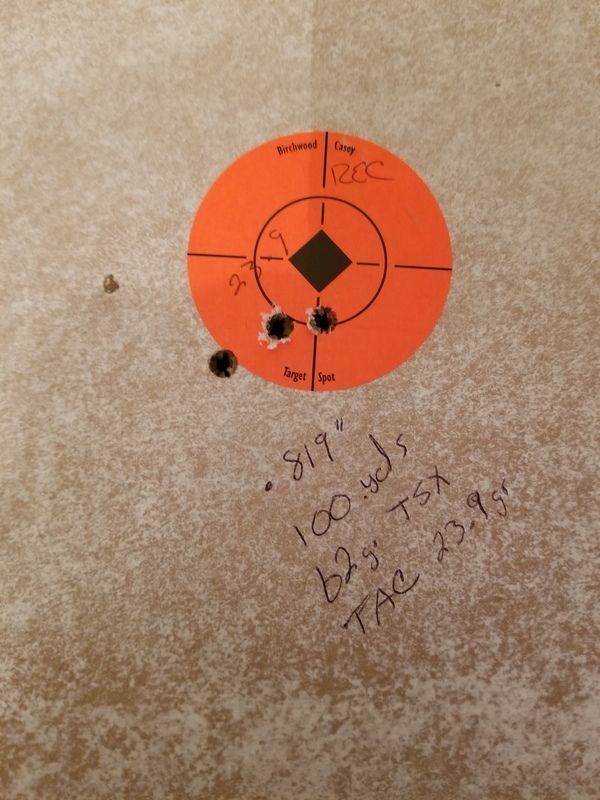 8x shooting groups is hard for me so I think I would do better if I had a bit more mag, maybe not. Last edited by BillB; 11-18-18 at 15:33. BCM 16" RECCE MK2 DkBrz, Custom Mk12 Mod1 built by Monty LeClair, 16" Middy w/ HCS RECCE barrel, A5, Young NM BCG, SSP, Geissele NM rail, Ops Inc., Super CH. 14.5" middy Noveske Afghan X3, 10.3" pistol DD barrell, Benelli M4, Ruger 10/22 w/Victor stock, GLOCK 17 Gen 4, Dan Wesson Valor Duty Coat, Dan Wesson Valor Blue, Dan Wesson Silverback 10mm, S&W 27 4"
Well Hell, I dont know what is wrong with photobucket but after 3 tries at uploading the pics I wanted to load I give up. At least some are there. Last edited by BillB; 11-18-18 at 15:37. 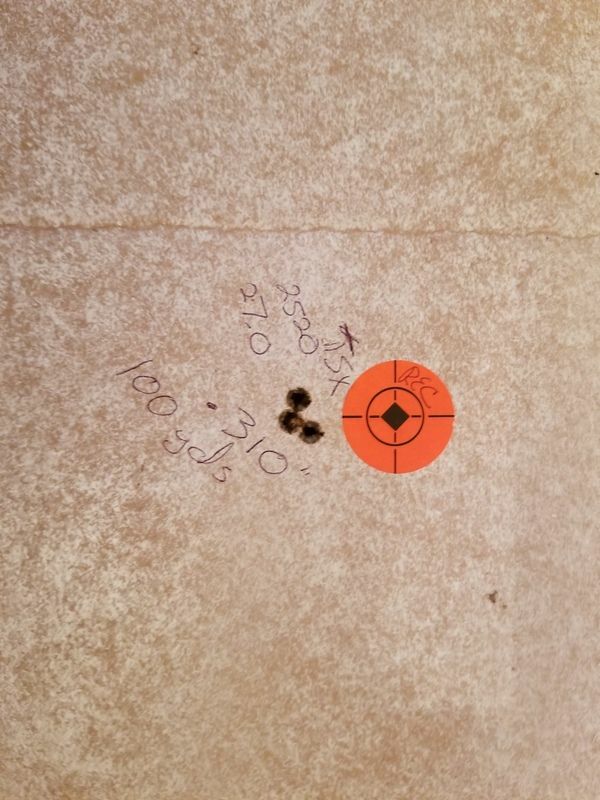 Good shooting BillB I personally like the Hornady 55 GMX better but I can run same load with 55 vmax with no impact shift so swapping between ammo is a dream. I can’t get the 50gr’s to do the same just works with the 55’s in my guns anyway. Thanks. I'm getting there with the TSX. Just takes a little time, trial and (hopefully no) error and tweaking. I'm going to hijack my own thread a minute. See the bullet that's cut in two in the first pic? Does anyone know what that is? It's not a TSX. It was sold as a mk318 SOST bullet but it's not. Its solid copper with a small copper insert towards the nose, inside where the olive is. It's open tip, 62 grains, boat tail, has two cannalures. At least I am assuming the insert is copper, it looks like copper. Any help from anyone would be fantastic. Looks like you have Mk318 mod 1. The lead core(mod 0) in nose was replaced with a some sort of "green" metal in mod 1. Looks like sintered copper to me. Supposed to be nickle plated in loaded ammo but it looks like you got them in the white. Probably for the better cause I dont know how nickle plated bullets would foul. Last edited by vicious_cb; 12-06-18 at 21:08.